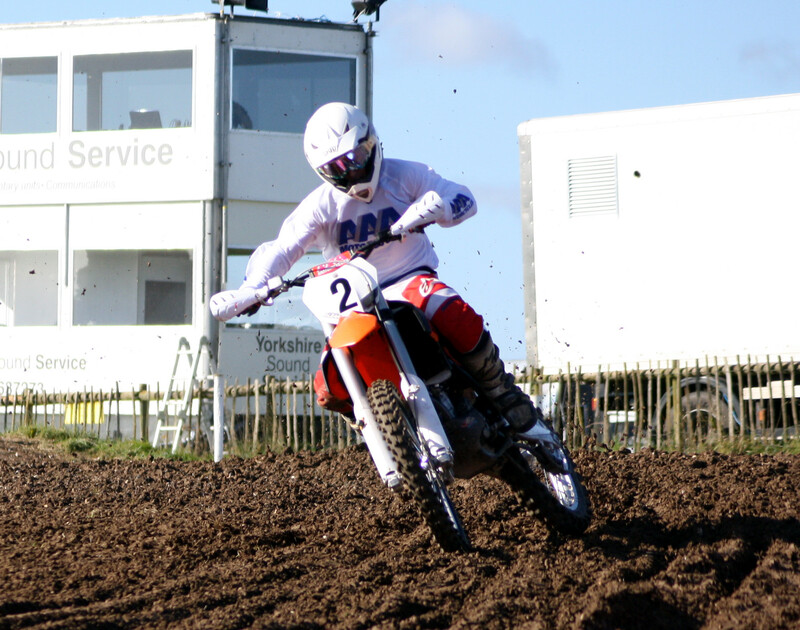 John Adamson, who now works at the shop, has just returned to top flight motocross with a magnificent fourth place at the first round of the Maxxis British Championship in the 2-stroke class. John has continued to rack up top positions in the championship with him ending up an amazing third overall. John has now moved into the MX1 class and notched up his first top 10 finish at the first round at Fatcat Motoparc near Doncaster. In doing this he finished ahead of many professional racers, no mean feat for a privateer! Since moving up from the motocross youth ranks to the premier MX1 category, John Adamson has had a season blighted by crashes and injury. 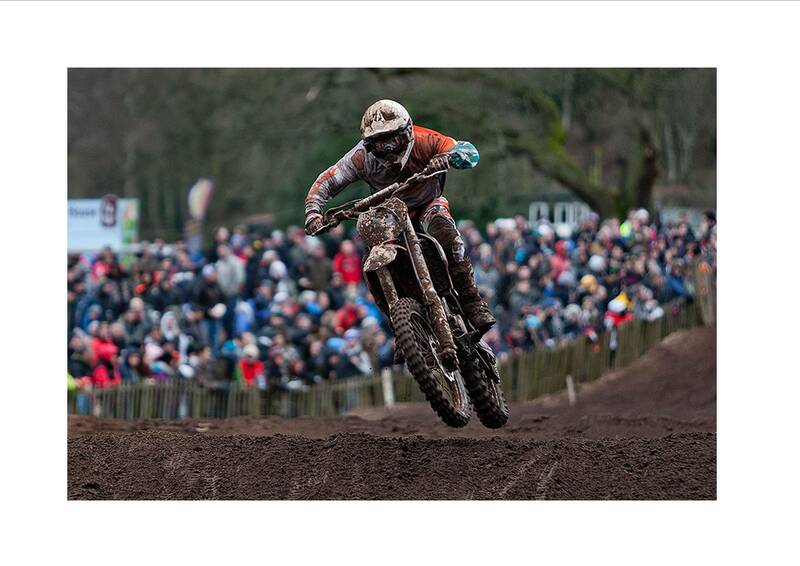 Until now the only bright spot was a seventeenth place in race two of the pre-season Hawkstone International. However things turned round at the third round of the British MX Nationals held at Whitby last weekend with John re-mounting after a crash in race one to finish twentieth and then recording two thirteenth places to finish the meeting in fourteenth overall, not bad for a schoolboy racing against an international field of professionals! Much of his improved form can be put down to the work he has been putting in at the gym in between studying for his Higher exams. His exams will be finished soon which will allow more time on the bike for training and testing. Another improvement factor is his better understanding of bike set-up with small adjustments making a significant difference to his machine’s handling. We are all hoping that this will see the start of more good results. John’s dad and mechanic who prepares John’s bikes at his shop, AAA Motorcycles, on Abercorn St Paisley was absolutely delighted with his son’s performance saying “John has always dreamt of competing at this level and now all the signs are all good”. Motocross star, John Adamson, at just seventeen, has made the leap from the youth ranks to the very highest level of international competition by racing in the pre-season Hawkstone International. This event is one of several around the world to allow the world championship teams some race time before the opening MXGP at Qatar. Adamson rode his AAA / Bikesport Newcastle 450cc KTM to seventeenth place out of a field of forty in the second MX1 race to earn himself a place in the Super final, a race for the top 22 MX1 and top 18 MX2 riders. Despite a couple of crashes he came home in 25th place beating some of the foreign riders. The next race for John is the first round of the MCF Scottish Championships at Tain on the 8/9th of March followed by the first round of the Maxxis British Championships in Cornwall the following weekend. John’s dad and mechanic who prepares John’s bikes at his shop, AAA Motorcycles, on Abercorn St Paisley said “for John to compete at this level has been his dream since he was a kid”. “He is getting faster each time he goes out on the KTM 450 so hopefully by the end of the season he will get the results that his dedication and training deserve”. We use only Putoline Oils. Click here to enter their site. A lap of Balmullo with John Adamson, click this to see the video. JOHN ADAMSON, A GREAT START. John Adamson scored his first ever Maxxis British Championship win in the MXY2 class at Fat Cat Moto Parc, near Doncaster, on Sunday. After a good start, and some attention early on from Matthew Callaghan, sixteen year old Adamson cruised his Team AAA / Bikesport Newcastle KTM to an easy win in the difficult conditions. As well as now leading the Maxxis MXY2, sixteen year old John also leads the adult Scottish MX2 championship, a great start to the season! Click on this text for a link to my not very good video of John winning three out of three races in the adult A class at the first round of the Melville Winter Series. DALRY PRACTICE TRACK MAP AT FOOT OF PAGE. 07808 328701 OR 01357 440202. WE CAN PREPARE YOUR MOTOCROSS BIKE TO THE SAME RACE WINNING STANDARD AS JOHN'S. John would like to thank his sponsors for the support they gave him. 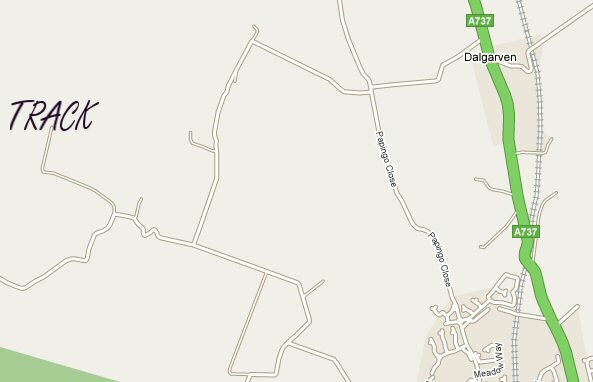 HEAD FROM DALRY TOWARDS KILWINNING AND IF YOU REACH THE DALGARVEN HOTEL YOU'VE GONE TOO FAR, SO TURN IN THE CARPARK AND GO BACK AND TAKE FIRST LEFT. FOR MORE INFO PHONE PETER.